The next time you’re thirsty, why not reach for a refreshing Lipton Ice Green Tea? 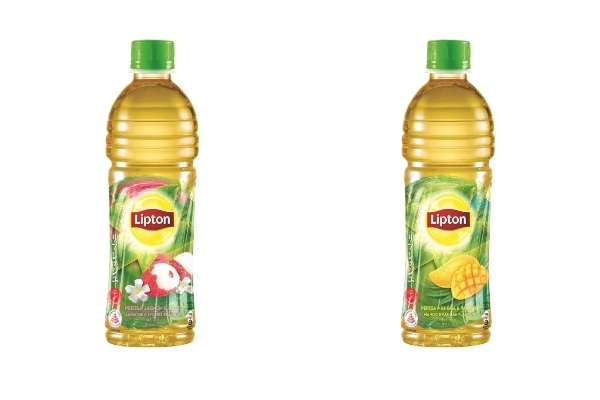 Inspired by Asian flavours and the popularity of green tea by consumers, Lipton Ice Green Tea is available in two delicious flavours: Mango Pandan and Jasmine Lychee; with both flavours uniquely crafted by combining real green tea with Asian fruits for a perfect blend of aroma and taste. With only 5.8g of sugar per 100ml, the new Lipton Ice Green Tea has been awarded the Healthier Choice Symbol (HCS) by Health Promotion Board (HPB), in recognition of it being a healthier option within the drinks category. The brand hopes to help consumers get into the swing of forming healthier habits with these new beverages, without having to compromise on the enjoyment experienced from drinking a great-tasting tea. Tea is a natural antioxidant, now you can enjoy this healthy, revitalizing drink without having to worry about exceeding your daily recommended sugar intake. It’ll be sure to leave you feeling good! Both Lipton Ice Green Tea Mango Pandan and Jasmine Lychee drinks are now available in selected supermarkets island-wide.